This blog post explains the theory behind props and Chinese character components. I thought of Popeye flexing. I choose 二 to represent gutter lanes in 10-pin bowling. As a bonus, ‘èr’ sounds similar to ‘Argh!’ as if you accidentally rolled a gutterball! Related, distinctive option: Lakitu, the Koopa in the floating cloud from Super Mario. This blog post explains the theory behind actors and Pinyin Initials. Would it be a good idea to use my grandad for the ‘g’ initial? Thanks. Yes, I am a nitpicker. Do many people pronounce Xing like the English Sing? It took 10 minutes to figure out that pronunciation with my Chinese colleague. Does the a and e sometimes have the exact same sound en as in “ten”? a in ian van and e in ei, ie ve. I use Garfield outside a bank, throwing a pipe onto a cross, but I also add the detail of the pipe is shorter than the horizontal line of the cross and the environment then changing into a dry desert as a punishment. To make sure the top line is not longer than the bottom line. Hu Jintao has retired from politics and came to the US to privately tutor me in Mandarin at my old trailer. However, people have found out that he is there and want him to tutor them so they can speak Chinese. There are so many people that I had to set up barriers and have Dalton standing at the road preventing people from getting inside. I tell Hu that they will go away soon, but he tells me that those who want to learn Chinese will wait forever. We study all day and into the night, and I keep looking out the window but all the people are STILL there. When we finish studying, Hu points out the window to all the people and says “See, they are STILL there” wanting to learn, and he goes over to the windowsill to grab his phone. He then posts a timelapse video that he’s been recording to his Facebook page with the caption “People STILL waiting to see me for tutoring”. Cloud – Lakitu from Mario. In Mario Kart, he’s the guy in the cloud who uses a hook to pull you back onto the road when you drive off the edge. So Yoda, my yu- actor, is running down a road that’s going through my par*en*t-in-law’s bathroom. He falls off the edge of the road and slides into the tub (to involve the location a bit). Lakitu appears in his cloud and pulls Yoda up into the air…and then spins Yoda around underneath him like a mobile over a baby’s crib. Some of my animate props are starting to take on very consistent personality traits in my scenes. For example, the rolling stone mouth I use for 口 has become a complete jerk in all the scenes it’s in. I’m finding that this consistent, obvious personality really helps me to remember it in my scenes. To help emphasize the halo for 奇, my scenes so far have involved the halo sitting off to the side somewhere in the scene, and then at some point, my actor grabs the halo and puts it on and it grants them some sort of superhuman ability. In the case of 椅, putting on the halo grants my daughter (Eliana) the superhuman ability to mold a Christmas tree into a chair. We are all hanging out in front of my in-law’s house and the city has begun the installation of a new traffic light. My landlord Diane is hanging the new traffic light for the city on their street. Unfortunately, she can’t get it to work and doesn’t understand why. She gets increasingly angry, and then we notice that the traffic light doesn’t have any bulbs in it, but she can’t find any. We are all laughing at her and asking “How could you LOSE bulbs for a traffic light”? Incensed, she pulls out a small samurai sword and cuts down the traffic light and it crashes to the ground! I’m sitting in the living room of my first apartment and I get a knock at the door. I answer it and the gentleman says, “Hi, I’m Phil Crimmins, if i can come in for a second, I can show you this new METHOD for learning Chinese”. I let the guy in and he sets his briefcase down in the living room. He pulls out a hose and a traffic light and proceeds to tell me how these represent props in his new Chinese METHOD and he acts out a scene where he puts them together to make some character. He’s spraying this traffic light with water in the middle of my living room going on and on. He tells me with his METHOD that anyone can learn Chinese for only 3 payments of $19.95. I tell him that Chinese is too hard to learn even with his new METHOD and he leaves. Is there any possibility of releasing the new eBooks in a different format? I don’t have great eyes, and so prefer to read on my Kindle with a bit larger text, which is something I can’t do with a PDF. Not sure what program you used to generate the text, but many programs have a feature that will allow you to publish the book into an epub format, which is a generic format that can be easily loaded onto any eReader. Thanks! Ryan Smith p.s. if this is something you’re interested in and willing to do, but need some technical help to accomplish it, let me know. 35:55 Ipsita Nepak from Email Hi Phil & Luke, Thank you for motivating these 30 days. I haven’t finished the pronunciation course yet, but I’m very happy to move ahead slowly. Your video and teaching method is so simple yet clear, I can focus on each video may it be about tone, pronunciation or new word. Thank you for guiding the beginners perfectly, gradually I’m liking to learn Mandarin. I know it’s too early to say this but at least I’m not scared anymore to learn. 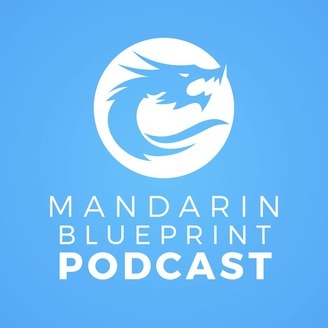 I’m glad to find mandarin blueprint !! Keep doing this great work. 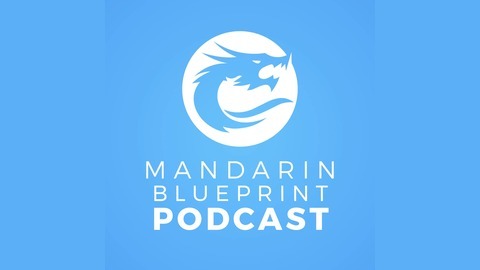 38:12 – eBook links: How to Speak Chinese Like a Native eBook Hanzi Movie Method eBook Chinese Characters 101 eBook 38:30 – Blog post: WHAT IS GUANXI 关系 & IT’S MEANING TO CHINESE CULTURE?